Click on a finger-pointing button above to register on-line. 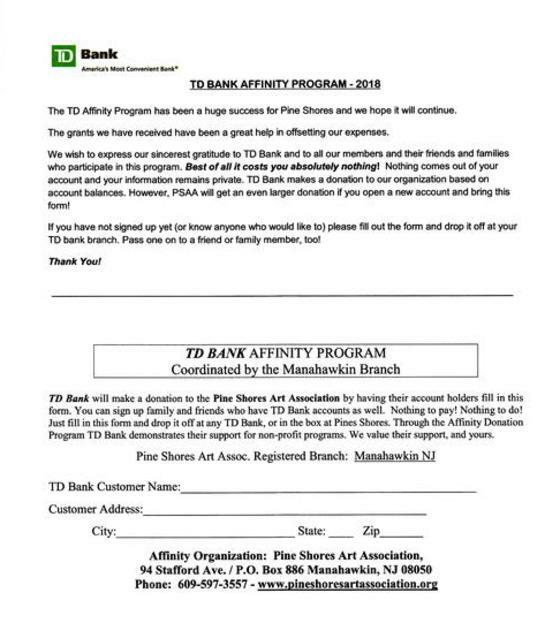 Or if you prefer, click here to print out the membership registration form pictured. How about exhibitions and competitions? Other perks, like our newsletter 'Artistically Speaking', and more ? If you have not already done so, now is the time to renew your membership at PSAA for 2019. 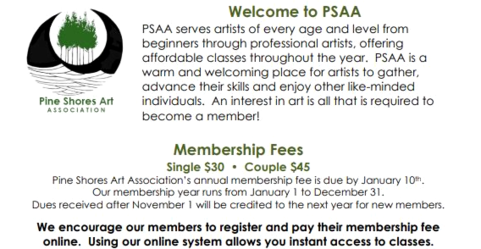 On this website, click on the Membership button and click on the "FORGOT PASSWORD" link to start the process, or send a COMPLETED membership form (above) with your check made out to PSAA for $30 (single) or $45 (couple), and mail to Nancy Edwards, PSAA, PO Box 886, 94 Stafford Ave, Manahawkin, NJ 08050.